Is Shanghai a Green City? IfI were to ask a random person on the street this question, they would probably laugh and say “no.” Can you blame them, really? With all the news coverage about China’s infamous pollution and its long list of other concerning environmental issues, it’s no wonder most people would answer the question this way. Here’s where the problem arises, however. This kind of general representation of a country’s (in)capability to be green through the media has distorted people from all over the world from seeing a reality: Shanghai can be a green city. Not only that, but efforts have been made to do so. One of the more concerning issues the city has tried to address is the problem of food safety. 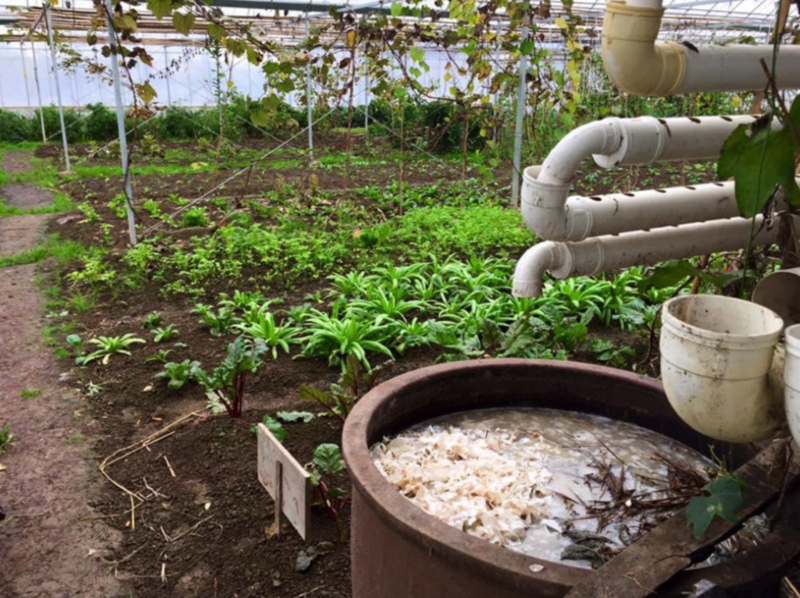 Unknown to the majority of the world is Shanghai’s approach to the issue: the implementation of organic farms in the more rural parts of the city. If you somehow find yourself asking, “Those exist? In Shanghai?” You will soon find out that they certainly do! 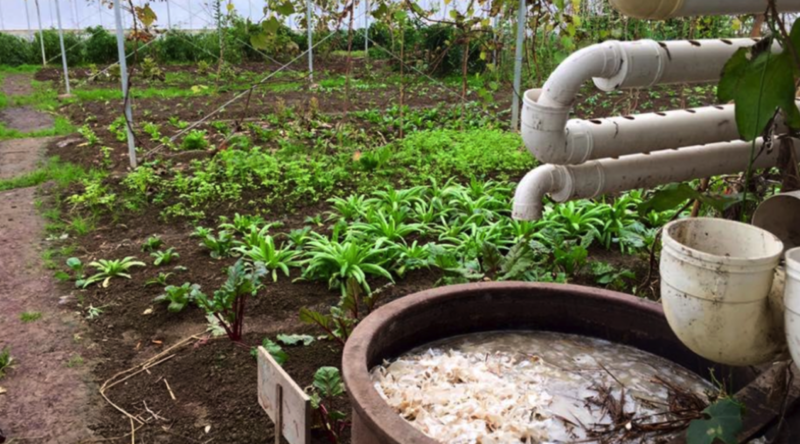 In our research and exploration of the city, there are undeniable endeavors to solve this issue through the participation of organic, eco-farms. We hope to shed light on these efforts and challenge people’s perception of the current situation in not only China, but also in Shanghai by examining a particular area: Chongming Island, or 崇明岛. 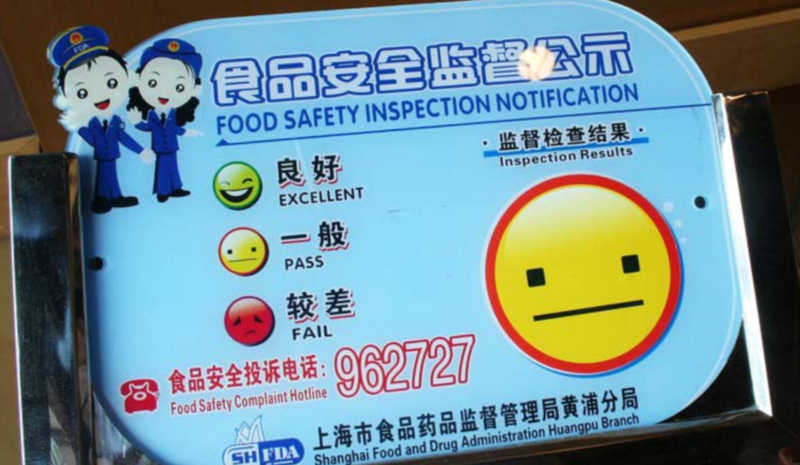 Just by entering “Shanghai food safety” into the Google search bar, the results are endless with websites and blogs centered on “Expat Know-Hows” and “Food Survival Guides.” In the news media, the situation is not much better with talk about the latest food safety regulation laws. In 2013, there was a famous issue that came to light with regard to this issue the city has been battling. According to the Shanghaiist, over 15,000 dead pigs were found floating down the Huangpu River. The pigs were traced back to an illegal pig farm in Zhejiang province. There is no denying people are aware about food safety problems. However, this speaks to an even greater problem plaguing not just China but the world as a whole: people generally don’t really know where their food comes from. The local Shanghai government, however, has taken steps to trace back the current situation to agriculture. From agriculture, they’ve found a possible solution to food safety concerns through organic, eco farms. According to Greenpeace, “Ecological Farming ensures healthy farming and healthy food for today and tomorrow, by protecting soil, water and climate, promotes biodiversity, and does not contaminate the environment with chemical inputs or genetic engineering” (Tirado 2). According to research, the solution to this problem may lie in eco farming. As opposed to traditional mass-scale farming, it conserves the natural environment, relying on “biodiversity, nutrient cycling, soil regeneration and natural enemies of pests” (Tirado 5). In addition, means of eco-farming can even overturn the destruction of soil and its fertility which is another prevailing problem in today’s agriculture (Tirado 6). Taking this into account, through the practice of eco-farms, Shanghai can be that much closer to becoming an eco city — one that allows its fast urban development to go hand-in-hand with nature. Despite China’s long tradition of biological crop production, evolution of organic farming in modern China was established on the Western models of organization, trade, etc. An officially established national logo assigned to biologically grown produce was established in 2005 and since then the market for organic food has been on the growth (Qiao 132). Chongming Island attracts environmentalists and investors as world’s largest alluvial island (Huang et al. 575). Even the general secretary of the Communist Party of China and president of the People’s Republic of China went on a trip to Chongming Island in 2004, saying that “local people should, under the philosophy of the scientific mode of development, retain the advantages of their wonderful natural surrounds and take an environmentally sustainable path of development” (Wu 77). Indeed, agro-ecosystems dominate most of the land use and provide most of the food supply. Natural wetland ecosystems dominate the land and attract wildlife, which is another advantage of the island. provide important habitats for many wildlife species. Furthermore, every spring and autumn, 2 to 3 million birds come to Chongming (Huang et al. 578). However, as Huang and colleagues point out, “Chongming Island’s ecosystem is extremely fragile and especially sensitive to the disturbance of invasive species because it is unique ecologically and has a low resistance to foreign species; therefore, prevention and rapid response to pioneer invasion is critical” (580). Isolated from the mainland, pollution is not at issue, especially compared to Shanghai. Due to the quality of soil and natural conditions, agriculture plays an important role in generating the island’s profit. The 2004 census revealed that 75 percent of the employed population found employment in agriculture. However, great disparities and inequalities in income exist between city and countryside. Since the development of nature reserves, tourism has also had a great impact on the economic profit (Huang et al. 580). Urban tourists can even go on an eco-tour such as “Happy Farm Households Tour” to try farming, stay in a farmhouse and eat locally grown food with the farmers (Wu 80). 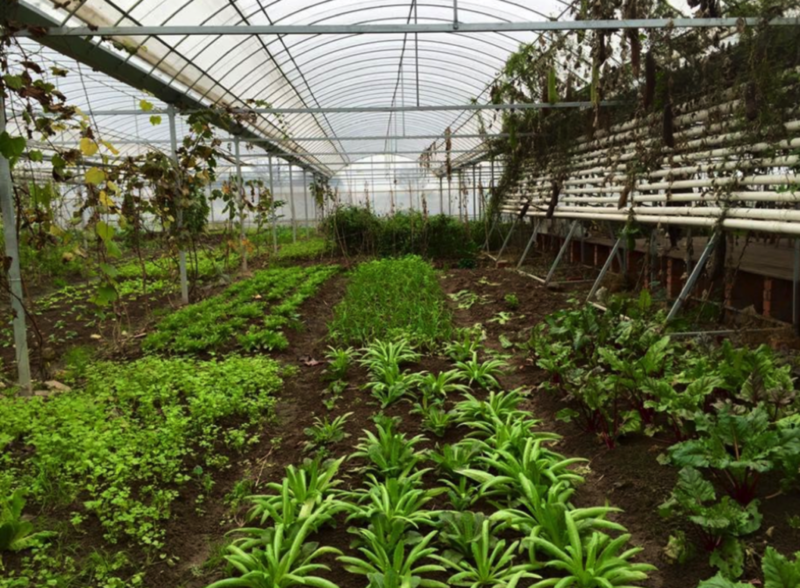 The roots of organic farming in Chongming Island are inevitably connected with the Dongtan eco-city project on the island. What sustainable growth means for Shanghai, however, has to be considered in a context of an outskirt of the mega-city which seeks to attract urban population, as well as what is known as “green capitalism” — natural capital, as opposed to industrial. It refers to “a set of responses to environmental change and environmentalism that relies on harnessing capital investment, individual choices, and entrepreneurial innovation to the green cause” (Chang and Sheppard 60). Dongtan was an eco-city undertaking in the Eastern part of Chongming Island. Starting in 2005, it was conceived as world’s future most advanced model high-technology all-natural city with green architecture possessing energy solely from solar panels and windmills, generating a very low carbon emission (Chang and Sheppard 62). In fact, its initial strategy was to make a town with an ecological footprint reduced by 60 percent, using 40 percent of the whole energy use coming from fully renewable energy sources including 100 percent of bio-energy to run buildings, as well as waste curtailed by 83 percent (Chang and Sheppard 62). The area would only allow zero-carbon-emission vehicles, and ultimately all of the waste would be either reused, recycled or composted. Second, according to The Economist, the reason for Dongtan’s failure lies in the local Shanghai governance. Chen Liangyu, a former Shanghai Communist Party chief who was the brain behind the Dongtan project and who brought British investors into the island, was fired for corruption in 2006 and convicted to house arrest. Thus, it is believed that the Dongtan project lost its credibility together with its governance. 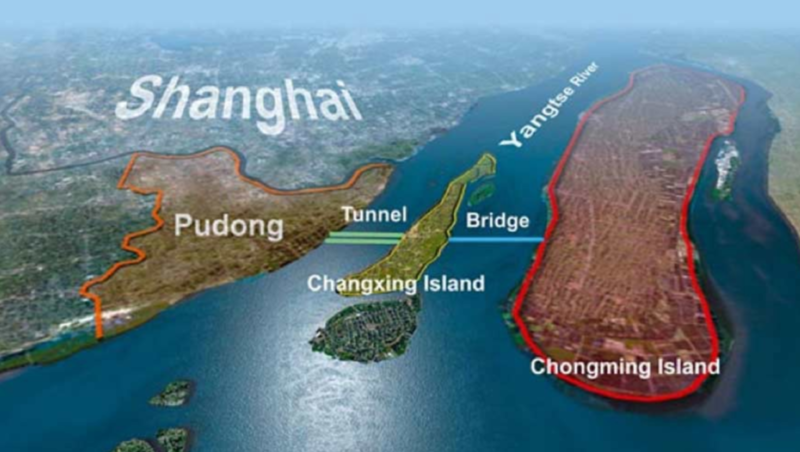 While the envisioned Dongtan eco-city never came into being, in 2006 the government of Shanghai decided to implement another idea named Chongming Three Island Master Plan. It was a plan independent from Dongtan, involving the rest of Chongming Island and two smaller ones around it, namely Changxing and Hensha (Chang and Sheppard 62). Its success is attributed to the fact that instead of an overly ambitious plan, it carried out multiple smaller eco-friendly developments. Rather than transforming these areas all at once, these incentives meant to change them into “eco-islands” one advancement at a time. These included advanced technology in organic farming, future long-term agreements on eco-friendly industry and eco-tourism. However, what the governance of Chongming Island already achieved has not managed to change the perception of a “rural island” held by the general public. In China, such locations have a reputation of being less developed, inaccessible thereby being less attractive. In fact, Chongming Island is the least industrialized and populated districts of Shanghai (Chang and Sheppard 62). Before the tunnel bridge was built in 2010, the only way to reach the island from Shanghai was by ferry, a trip which took an hour. Therefore, apart from the general perception, geographical conditions and location was a significant restriction on the development of Chongming. After having learned so much about the efforts of the city to make this happen, we decided to visit the island itself and see for our own eyes the people physically making their city more eco-friendly. 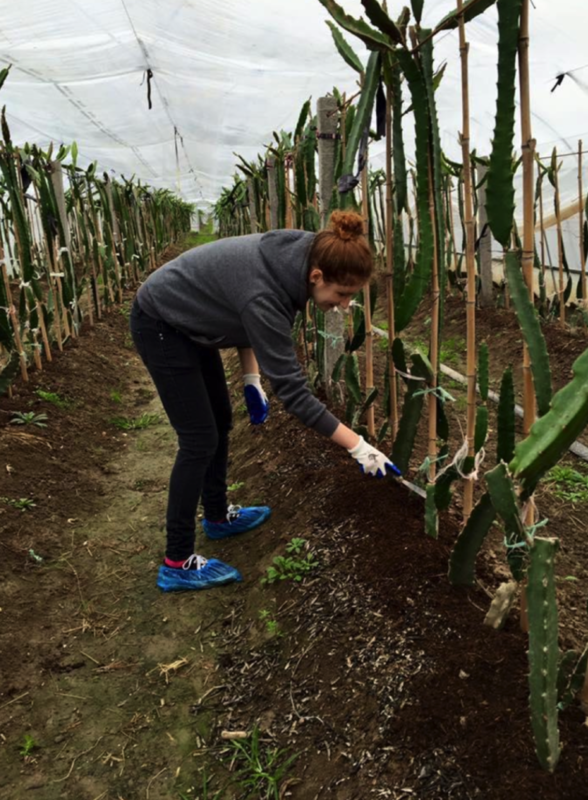 We spoke with Sarah, the owner of a family-run eco-farm on Chongming Island we volunteered to work at. Before buying a farm on the island, she worked at a marketing company in Shanghai. Sarah held a high position in the company and often traveled all over China to represent the firm. However, frequent business trips also limited her family time. As loving a mother of a eight-year-old boy, she did not want to spend this much time away from family, even despite a comparably high salary. 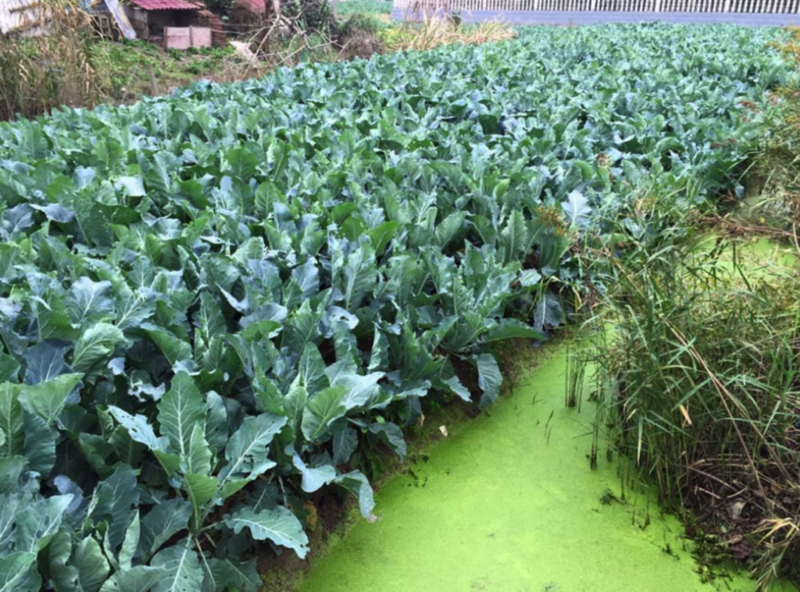 Therefore, Sarah and her husband decided to use their life savings and with the help of her parents, they were able to purchase a farm of Chongming Island. Two years later, using perfect English she was speaking to us as a proud farmer and entrepreneur, selling organic produce to stores around Shanghai. Although Sarah admitted that working full-time as a farmer is physically exhausting, she said it was also remarkably relaxing to her mentally. While profits from the recently opened farm were not very high yet, they were steadily increasing and provided the family with a comfortable life. She also explained that in the age of fast life, demand for organic produce was constantly on the increase as people began to care about their diets more and more. Another interesting story we found while learning more about the farms on the island was that of Hou Xueying. Below, you will find a video telling her story. She recalls wanting to know where her food came from and because she felt so strongly about this, she decided to take matters into her own hand by running her own organic farm. She left the city to make available for her family an abundance of chemical-free food. According to Hou, she mentions an interesting part of her journey: the struggle to gain her parent’s approval. She mentions, “After struggling for so long to give me a good life, they think I should live a comfortable, easy life” (Farmed with Love). However, it is these people that should probably placed on the highest pedestal of society especially those like Sarah and Hou Xueying who are trying to make the food healthier and more readily available to the public. Shanghai has come a long way in trying to get rid of the nation’s bad reputation for basically just destroying the environment. But more importantly, the city has made the effort to address the overwhelming concern of food safety. 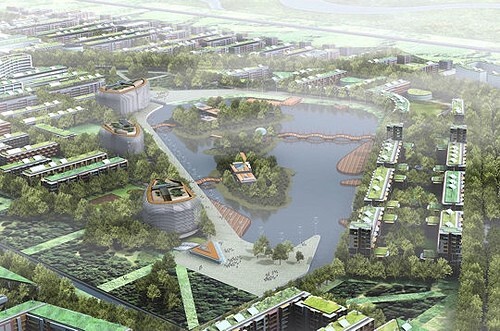 We’ve seen that through Dongtan and the city’s willingness to not give up on the eco-city project on Chongming Island. How can we normalize these farms in the greater Shanghai metropolis? Better yet, how can we normalize these practices in China overall? Perhaps, the latter might be a tad bit ambitious. However, we believe that it is possible. To do so, there are several factors that should be taken into account such as price of the food, availability of essential machinery, as well as general awareness of these farms as a solution to an already well-known issue in Shanghai and in general, China. We hope to generate the latter by providing this information to the students, faculty, and staff of New York University Shanghai. Together, we can make Shanghai green-er. Chang, I-Chun Catherine, and Eric Sheppard. “China’s Eco-Cities As Variegated UrbanSustainability: Dongtan Eco-City And Chongming Eco-Island.” Journal Of Urban Technology 20.1 (2013): 57–75. Applied Science & Technology Source. Web. 10 May2016. “City of Dreams.” The Economist. N.p., 19 Mar. 2009. Web. 9 May 2016. Griffiths, James. “Of course there were more pigs today, total now nearing 15,000.” Shanghaiist. 20 May 2013. Web. 12 May 2016. Huang, Baorong, et al. “Construction Of An Eco-Island: A Case Study Of Chongming Island,China.” Ocean And Coastal Management 51. (2008): 575–588. ScienceDirect. Web. 10 May 2016. Milovanovic, Katarina. “Pregnancy Healthy Diet: 4 Food You Need to Include.” Digital Image. Web. 12 May 2016. Taylor, David A. “Recovering the Good Earth: China’s Growing Organic Market”. Environmental Health Perspectives 116.8 (2008): A346–A349. Web. Tirado, Reyes. “Defining Ecological Farming.” Greenpeace Research Laboratories (n.d.) June 2009. Web. 10 May 2016. Wu, Meiling. “Chongming: Taking The Ecological Road Of Development.” China Today 57.3 (2008): 76–81. Academic Search Complete. Web. 10 May 2016. Yan, Yunxiang. “Food Safety and Social Risk in Contemporary China”. The Journal of Asian Studies 71.3 (2012): 705–729. Web.